Techno Stamper: Staff Appreciation Lunch at Middle School! SOOOOOO Creative and FUN!! I love your use of MDS! Looks like a great party! MDS is so handy! I'm sure all of the OP Middle School Teachers felt appreciated for their hard work. I join you in wishing them a happy summer. Thanks for serving the community with your creative and hard working spirit. Wow! What a lovely party for the school staff...I'm sure they love it and look forward to it! Your tables and signs and everything we can see are wonderful!!!! Nothing wrong with any of your pictures! 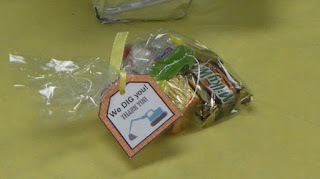 Again, what a great thing you do for the school staff! TFS~)! Looks like a fun party, your decorations were awesome!